So, it’s time to talk about my top 5 favorite Wii games. I was rather surprised by the warm reception of my previous article. I really thought that it would slip under the radar since the Wii is out for quite a while and it’s now kind of obsolete because of the Wii U. In any case, I don’t own my Wii U yet, but that day will come soon. I’m still deciding which game I’m going to buy first. It’s a draw between Zelda, Wind Waker – Hyrule Warriors and Bayonetta 2. I might buy one game and ask for the other one(s) for Christmas. But hey, now I’m going off-topic. It’s time to talk about MY favorite games on the Wii. I’m quite sure that I haven’t played a lot of very good titles since I focused myself on games I heard a lot about. Also, if you followed my blog for a long time, you might be able to guess some of my entries here. So, I hope that you are ready for this since I’m going to talk about a few amazing titles for the Nintendo Wii! And as usual, feel free to leave a comment with your opinion on the content of this article and/or the games. Feedback is always welcome. 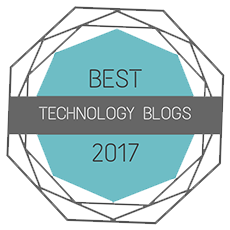 I use it to improve my blog. Oh, and feel free to leave your top 10 Wii games in the comments too. Before I came up with the idea for this article, I wanted to write a first impression about this game. But why is this game so high on my list? Well, that’s because when I play this game it gives me a vibe that I want to play on my SNES later. Why is this such important to me? Well, I love retro games. And when a game inspires me to play more retro games… That’s a good thing in my book. 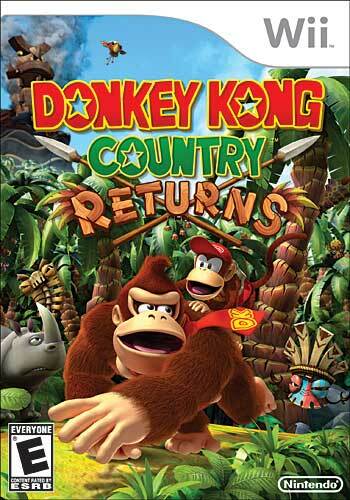 This game is a sort of remake of the original Donkey Kong series. A series I have read some many articles and watched so many videos about. Like I told in an earlier article, I haven’t owned a console since the Nintendo Wii. I have played the Gameboy and PC when I was young. While I played a lot of games, I also wrote a lot of stories. So, honestly, I wasn’t that interested in consoles. Apart from the Nintendo64. Since one of my friends brought his one over to play with. Retro Game Studios really lives up to it’s name. This game is even more proof, since it brings back memories of those times I played on a console in my childhood. But not that alone, this game is a rather solid platformer. I don’t play a lot of platformers since I’m not that interested in them. When I play a platformer, it must have a history or a certain gimmick. And this game combines both. This game has a history, it’s a remake of one of the best platformers ever made for the SNES. It also has a gimmick that sets it apart. Which is, when you are full health, you get Diddy, who gives you special perks. If you haven’t played this game, what are you waiting for? Give it a jump.. Bad pun, I meant give it a play. Time for another shocker? This is the first Wii game I ever played. Yes, I was actually planning to buy a Wii for the Legend Of Zelda games, but the first game I bought was Warioland Shake It. Well, I know it under the name of Warioland: The Shake Dimension since I live in Europe. Earlier I said that the only time I enjoy platformers is when they have a certain gimmick. And this game has that cover easily. It uses the motion controls of the Wii really well but doesn’t depend on them. Personally, I think that the Wario games are better then the Mario games. Am I saying that Mario games are bad? Hell no, they are one of the best platformers in the genre. But the Wario games always add something to the mix. The stories are more varied and there is more variation in the enemies. I could try and explain why I think the Wario games are better then the Mario games, but hey… That’s comparing your favorite TV-series versus your favorite movie series. It are both things you watch but in reality they are two very different things. This game has another thing going for it. When you are good at platformers, this game has additional objectives which make the game extremely hard in my opinion. You can’t take damage or you need to collect every coin. And with some brutally placed enemies, that’s very difficult. Oh, I haven’t forgot about the shaking mechanic. That’s the most interesting of this game. Seriously, to get coins or healing items you need to shake things. Yup, this makes even defeating the smallest enemies worthwhile in some situations. Oh my, I played this game in 2013 and still haven’t beaten it…? Well, the reason for that is that my SD card died where my save file was stored. I was really far into the game but then when I played it for the 2nd time, I ate something by accident that you needed in order to progress in the story. I think it was possible to progress even without that item but I deleted my save file. I didn’t feel playing through the game for a 3rd time for over a year. But earlier this week, I started to replay this game. It’s such a shame that I didn’t start my 3rd playthrough earlier. This game is a very nice and realistic mystery novel. It continues where the DS game left off. It further fleshes out the story of the Robins family. Thrilling is the word I would use it to describe it. I know that this game can be boring for some people. It’s somewhat slow paced and it doesn’t have a lot of “action” that you would find in other games. The gameplay is mostly running around a rather nice lake and forest area to solve puzzles that could happen in real life too. But the execution, writing, music, presentation and characters are what keeps this game together. But the biggest reason that this game is so high on my list is a rather personal one with one of the main characters. I don’t feel comfortable talking about it on my blog believe me, this game touched me on a personal level. That’s why I put this game on the 3rd place on my list. If you want a great story and feel like playing an adventure game… Pick up this game as soon as you can. If you want to know more about my thoughts about the game, I linked my first impression article for you to read. Raise your hand if you didn’t see this game coming. This gem of a game deserves a high spot on everybody’s favorite Wii games list in my opinion. Explaining this game is rather difficult. The best explanation is, it’s a Zelda game in Japanese mythology with a Japanese hand-drawn art-style. I have written a first impression about this game almost a year ago. This game is totally worth it to check out. While it released first on the PS2, I think that this game deserves motion controls. Since you need to draw on the screen or draw some objects, I think that this game would be quite a pain to play with a controller. But hey, I haven’t played this game with a controller and maybe those things are changed to work well on a controller. This series of games needs more entries Capcom. 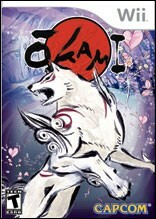 I want to see an Okami 3! Seriously, this game is really addictive. I played this game and the sequel on the DS more times then I dare to admit. It’s a game I often bring up when I want to prove that games can educate or can be works of art as well. At the other hand, the story is neatly wrapped up in the end so a 3rd game would need to introduce more characters… It could go horribly wrong. There were a few moments I didn’t like in this game. Some weapons make the main character glitch out real bad and some bomb mini-games.. Well, if you aren’t perfect, you won’t make it. This game is one you have to play when you enjoy the Japanese culture. Also, when you are a big Zelda fan… You owe it to yourself to play this game. For more of my thoughts, I advise you to read my first impression article I linked for you guys to enjoy. It was rather hard making this top 10. So, I had to cut out some great titles. Since they deserve to be mentioned, here are the other games that didn’t made the list. Well, most of them. Zack & Wiki: Quest for Barbaros’ Treasure, Kirby: Return To Dreamland, Silent Hill: Shattered Memories, Fragile Dreams, WarioWare: Smooth Moves, Red Steel, Boomblox, Mario Kart Wii, Super Smash Brothers Brawl, No More Heroes 2, Super Paper Mario, Resident Evil Dark Chronicles, Pikmin 2, Pokémon Battle Revolution and Super Mario Galaxy 1/2. If you follow my blog, you must have seen this one coming. A Zelda game as number one. The hardest part was deciding between Twilight Princess and this one. Both bring such different styles to the table, it’s was a difficult decision to make. Both games have different and enjoyable memories for me that made it even harder to decide. But the difference was in the controls of Skyward Sword. How Link does the exact some movements you do with the Wii Remote blew me away. It felt like I was him. That I was part of this adventure. I think it made it extremely clear how big of an influence this series is and was on me. The music of this game helped me through rough periods and it was the series I played the most as a kid. I even compared elements of the Zelda series to other games in it’s genre and got me interested in reviewing games. The Zelda games are also the main reason why I want to buy the Nintendo consoles. In the past I bought the newest gameboy to play the latest Pokémon on, but now those games are a close second. I bought a DS for Phantom Hourglass, I bought a Wii for Twilight Princess and Skyward Sword; and I bought a 3DS for Ocarina Of Time 3D. Now, I’m planning to buy a Wii U for Hyrule Warriors. In any case, if you want to read about my thoughts of this game… I linked my first impression of this game. I have one thing to admit, I still haven’t beaten this game. But I think that the holiday season of this year might change that. So stay tuned. This list was extremely hard to put together. The reason I haven’t written this top 10 earlier was because I honestly thought that I didn’t play so much different Wii games. Looking back after writing this article, I’m surprised how wrong I was. 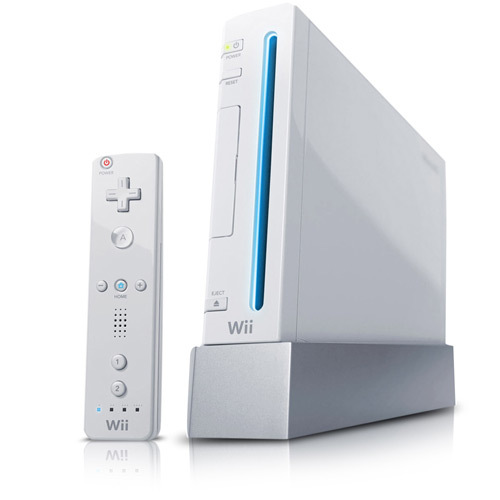 The Nintendo Wii is an amazing console and has an amazing library. I’m quite sure that I will enjoy the games I want to beat even more now since I start to realize that this console has still a whole lot of amazing games and fun moments up it’s sleeve. So, maybe in the future you will see even more articles on Wii games. If you want me to take a look at a certain Wii game, tell it to me in the comments and I will try to take a look at it. In any case, this was a rather long article. I hope you enjoyed reading it as much as I enjoyed writing it. And I hope to see you in another article in the near future! But until then, have a great day and game on! This entry was posted in Gaming Nostalgia, Personal, Reviews and tagged 001, 1, 10, 2, 3, 4, 5, another, arpegi, battle, best, Cing, code, donkey, games, honorable, it, jea, Jonez, jonez001, jonezjea, kirby, kong, Legend, memories, mentions, neko, NekoJonez, Nintendo, Of, okami, Pokémon, princess, r, returns, Revolution, shake, skyward, Sword, The, top, Twilight, warioland, wii, Zelda on November 15, 2015 by NekoJonez. Nintendo version of the website. So, I have this Wii sitting in my room. I got my Wii after I graduated high school. Before that I played a countless amount on my Nintendo DS. On there I played Another Code from the amazing developer Cing. They went bankrupt and they are no more. But when I saw that this game had a sequel for on the Wii, I didn’t doubt for a second, I had to play this game. I started to play it three days ago, and I have trouble putting it down. Yup, that’s my first impression in extremely short for you. But this wouldn’t be a valid blog entry if I didn’t explain myself. Otherwise I will look as a fanboy of this game to you guys, which I kinda am. Visual novels always interested me and I love playing them. They always have a better story then other games and this game is no exception. Let me explain why this game is great and you all should give it a go. But, I’ll also explain some flaws with the system. This game is a sequel to the great Nintendo DS game Another Code, it’s named that way in Europe. The American is Trance Memory. I actually advise you to play the DS game first. The Wii game takes place two years after this game. The story of the DS game is very often referenced. 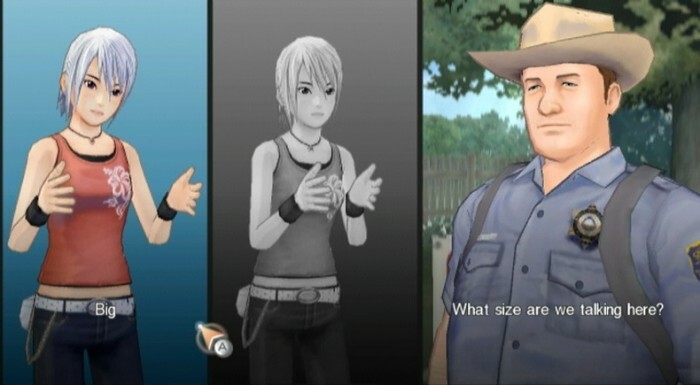 The familiar characters from the original DS game are exactly the same in this Wii entry. There are also a lot of new characters and you can easily get a reminder in the menu. Which is an awesome option. If you forgot which character was who, a reminder is there in game. There is no voice acting. Which is a shame in my view. This game would have had big benefits from voice acting. Now it’s only the text displayed on the screen. From what I saw of the story, it’s an enjoyable tale. It made me think back at the days I played the DS game. The main thing is again about memories. What I truly praise in this game is that on the end of each chapter, you get a small quiz to remind you what happened in the chapter and it really helps when you forgot or didn’t play the game in a while. But enough about the story, I’ll dive more into that in the full review. The gameplay mimics a lot from it’s DS game. The controls, you’ll need to get used to them, are actually quite unique and the mapping is great. Although it’s a pity that the detection of the Wii Remote seems a bit uneasy to use sometimes. In this game you can’t really run everywhere you please. It isn’t a step back actually. This mechanic is set up in such a way that you can easily explore certain area’s and view them. Probably this made the developers have time for some great visuals. As you guys might know, I’m not that difficult to please when it comes to graphics. But this game blew me away. The location of the game is bright and colorful, detailed and well made. It feels great with the realistic story and nothing feels out of place. It’s detailed enough that it draws you into the story easily. This game is also a puzzle game. And a great one. With some side quests like recycling, there is a lot of variety to the game. You can even choose how your character reacts to a situation. It adds some replay value to the game to see how it plays out if you react in another way. I don’t know if there are different endings but I don’t assume there are. Otherwise I would be extremely impressed. Because in other games with different endings, this game is good in hiding it then. One flaw in this game is how you can look back at the previous conversation. This is a very welcome feature but I haven’t seen a game get this right. I have to say, happy scrolling if you want to look for something. There is no real tutorial. This is extremely welcome. Thanks to this you can explore and learn the game at it’s own pace. You don’t have to “learn” everything at the start of the game and you truly feel more free playing this game. While exploring the area’s, things you can investigate blink in a yellow color. There is also a great indication on the screen to remind you. And pay attention, places you have explored, can also be of use later in the story. There are even various ways to control the game. Using the on screen buttons or the buttons on your controller, it both is fluent. This game is easy and difficult. For new players to the genre, this can become quite a challenge in certain area’s. But, for advanced players in this genre or style of game, you can progress without getting really stuck anywhere. This game has various story lines running all at once. Thankfully, it’s never getting too much. When ever it’s too much too follow, a story line ends. This game has also a very creative use of the buttons on your Wii remote. You’ll have to play the game to understand what I mean. Before I close of this article, I want to mention the music. The music is pretty lighthearted. And it fits the tone of this game extremely well. You even have a music player in game to listen to the tracks or let them play as background music. And you can’t listen to tracks you haven’t heard in game yet. That are most of my first impressions of this game. I’m nearly half way in this great game. The length is great from what I played till now. This seems like a game that will take you more then one day to complete. If you really want to enjoy it at it’s full potential. Whenever I finish this game, I’ll surely write a review for you guys. But until the next time, and happy gaming! This entry was posted in First Impression and tagged 001, adventure, another, code, first, games, impression, into, jea, Jonez, jonez001, jonezjea, journey, last, memories, memory, neko, NekoJonez, Nintendo, Nintendo 3DS, Nintendo DS, novel, r, The, trance, United States, video game, Video Games, visual, wii, Wii U on June 13, 2013 by NekoJonez.